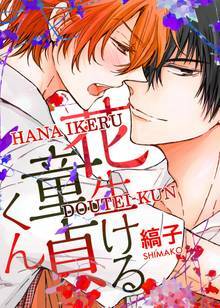 Tsujido Ei, who is a flower arranger, has struggled living with his step-brother, Natsuki, who he has strong feelings for. But trying to be the "Good Younger Brother" is starting to become harder as Natsuki keeps feeling skin on skin. Out of no where Natsuki in just underwear, hugs onto me, he smells so amazing. "As your older brother, I'll take the responsibility of protecting you..." wait is this a delusion?! A love comedy that makes the family relationship go crazy! !